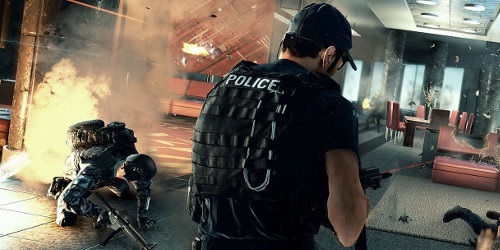 Update: Yep, Battlefield: Hardline is real. Battlelog, DICE’s browser-based interface that they’ve been forcing on the gaming public since Battlefield 3, received an update this morning. Instead of the assignments for the upcoming expansion pack Dragon’s Teeth, an entierly different kind of surprised was included.